Armed UAVs: Who Has Them, Who Wants Them? Just 10 countries worldwide have armed UAVs; many more want them, and China seems willing to oblige. Under Barack Obama’s leadership, more drone strikes were launched by the US than under any previous administration, including George W. Bush. According to the Bureau of Investigative Journalism, a total of 563 US-led drone strikes targeted Pakistan, Somalia and Yemen during Obama’s two terms, compared to just 57 strikes under Bush. Yet, most of the countries that sustain a military drone or unmanned aerial vehicle (UAV) capability, use them mostly for surveillance and intelligence gathering. According to the New America Foundation, 78 countries use drones purely for surveillance. Currently, 10 countries (the UK, US, Saudi Arabia, Israel, China, Pakistan, Iraq, Iran, Nigeria, Turkey) have armed UAVs, and eight countries have experience of using them in combat: the US, Israel, the UK, Pakistan, Iraq, Nigeria, Iran and Turkey. Israel is the largest exporter of military UAV technology to countries including the UK, China and India. Estimates suggest that between 2010 and 2014, Israel delivered 165 drones across the globe. The US came second with 132. Between 2010 and 2014, according to data published by the Stockholm International Peace Research Institute, the UK imported the most number of drones, taking 55 drones from Israel and six armed UAVs from the US. The US only began allowing the sale of armed drones such as the Predator or Reaper UAV and Global Hawk to foreign countries in 2015. 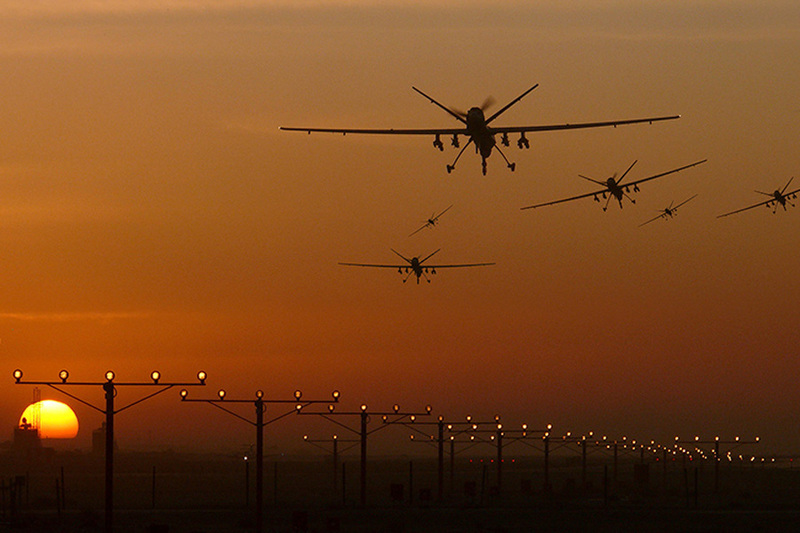 General Atomics’ combat-proven Reaper MALE UAV was sold to the UK, Italy, Spain and France. However, only the UK and Italy are permitted by the US to arm their MQ-9A Reaper UAVs for combat. In 2015, the US State Department approved a long-standing request from Italy to arm its MQ-9 Reaper with Hellfire missiles, laser-guided bombs and other munitions. There is a debate within France as whether to arm its MQ-9A Reaper, which has been largely used for ISR missions in Mali and the Sahel-Saharan strip. France, alongside Germany and Italy, is looking to build its own MALE UAV capability, so as to reduce their reliance on US-exported technology. Barrie notes that the US will sell armed systems to trusted allies such as the UK, which announced the acquisition of 26 Predator Bs in November 2016. The first 16 have been ordered at a cost of $1 billion with an option for 16 more. However, under the Obama presidency, the State Department announced a new policy that would allow “friendly governments” to purchase armed drones from the United States if they agreed to only use them under “lawful’ circumstances. Called The Joint Declaration on the Export and Subsequent Use of Armed or Strike-Enabled Unmanned Aerial Vehicles (UAVs), the policy, which has been signed by 48 nations including the UK, talks about the “responsible use” of armed drones, but does not clearly define what that entails other than specifying that drones are subject to international law. Some see the policy as an attempt by the US to boost its exports of drones to try and compete with Israel’s drone export machine. Saudi Arabia is believed to be the first Arab country to purchase the Chinese Wing Loong (Pterodactyl) UAV, which can be armed with air-to-surface missiles and laser-guided bombs. The Wing Loong, which has a maximum altitude of 29,527 feet, endurance of 20 hours and payload capacity of 480 kg, is manufactured by Chengdu Aircraft Industry Group. 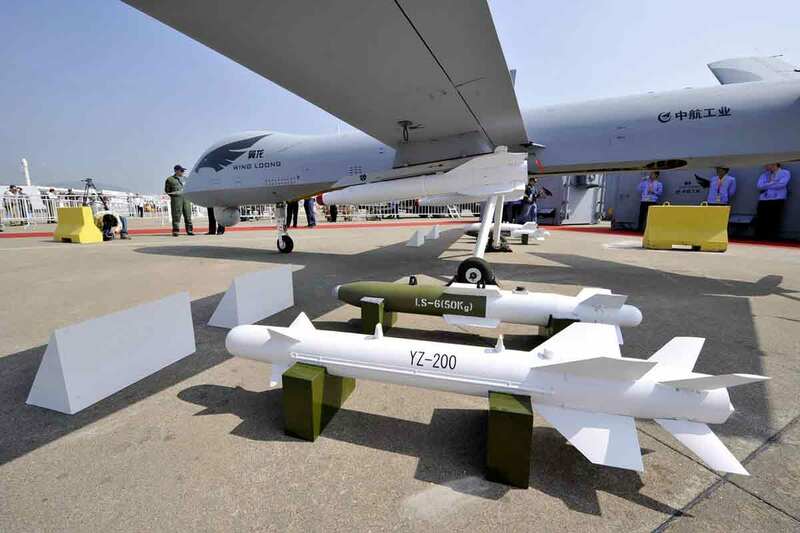 Some reports suggest that Saudi Arabia already has experience of using the Chinese UAV in combat. The wreckage of a Chinese CH-3 drone was also found in northeast Nigeria in 2015. An image posted on Twitter of the wreckage reportedly suggested that the CH-3, manufactured by the China Aerospace Science and Technology Corporation, was carrying missiles. 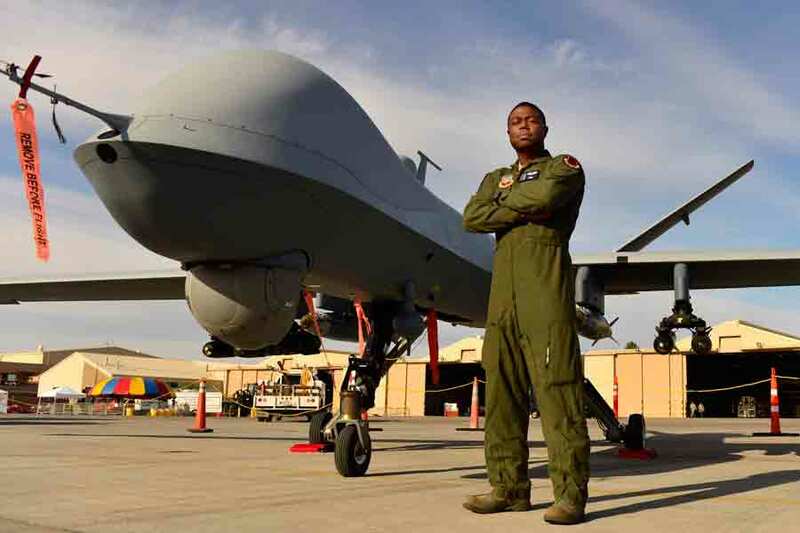 Nigeria is using armed UAVs to help combat the terrorist organisation Boko Haram. Chapman said China was no longer just in the business of manufacturing imitations of former Soviet-era systems, but was shifting to domestic research and development of military systems supported by sustained budget increases. According to IISS’s Military Balance, in 2016, China accounted for a third of Asian defence spending. The US Department of Defence has estimated that China will produce upwards of 41,800 unmanned systems for land and sea between 2014 and 2023. Almost every country now, if they really wanted to, could acquire an armed drone capability. Of more concern, perhaps, is the fact that armed drones (albeit rudimentary) are falling into the hands of terrorist organisations and non-state actors. According to the New America Foundation, three non-state actors, Hezbollah, Hamas and ISIS (Islamic State or Daesh), have used armed drones in combat. Hamas has used what are believed to be “crude” drones or UAVs packed with explosives to conduct missions over Israel, but most of them have been shot down by Israeli security forces. Daesh is using commercial off-the-shelf drones and modifying them to carry bombs and explosives to attack Iraqi forces in Mosul. 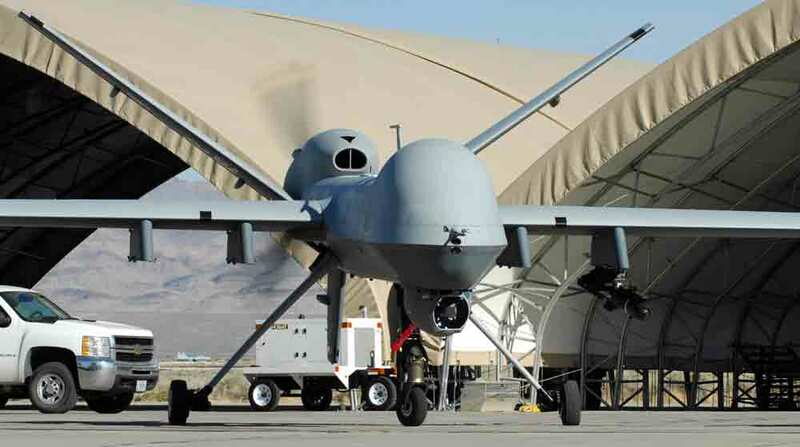 Whilst Daesh’s drones lack the sophistication, firepower and precision-strike capability of the longer-endurance Reaper MALE UAVs operated by the UK and the US, they have been used successfully to kill and maim Iraqi forces. It may only be a matter of time before some of these organisations acquire more sophisticated combat UAV capabilities from more willing exporters like China, or even Iran. MALE 2020: The European UAV To Be?